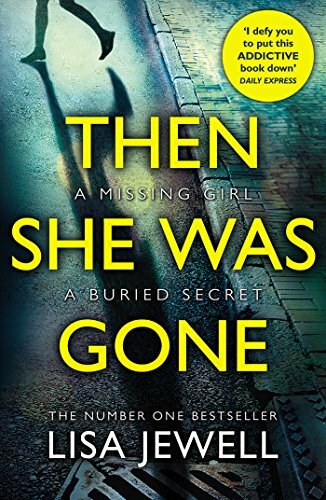 BESTSELLING PSYCHOLOGICAL SUSPENSE, AND A TOP RICHARD & JUDY SELECTION NOW WITH 500 5* REVIEWS - this is what readers are saying: 'Grips to the point of OBSESSION' 'My life STOPPED while I read this book' 'My heart was THUMPING in my chest' 'This is EDGE OF YOUR SEAT reading' 'This book left me BREATHLESS' 'Cancel all plans and BUY THIS BOOK' ************************ She was fifteen, her mother's golden girl. She had her whole life ahead of her. And then, in the blink of an eye, Ellie was gone. Ten years on, Laurel has never given up hope of finding Ellie. And then she meets a charming and charismatic stranger who sweeps her off her feet. But what really takes her breath away is when she meets his nine-year-old daughter. Because his daughter is the image of Ellie. Now all those unanswered questions that have haunted Laurel come flooding back. What really happened to Ellie? And who still has secrets to hide?